BERTIN, a monk at Luxeuil Abbey in Burgundy, who served as an assistant to St. Omer (9th September), Bishop of Thérouanne, and then as second Abbot of Sithin (later renamed the Abbey of St. Bertin). Under St. Bertin the Abbey became one of the leading monasteries in the north of Europe. St. Bertin reposed circa 709. GENEBALD of LAON, possibly married to a niece of St. Remigius of Rheims (1st October), who appointed him first Bishop of Laon. Tenth-century chronicler and Canon of Reims Flodoard in his Flodoardi Historiae Remensis Ecclesiae , relates that St. Genebald spent seven years living in a small cell, eating nothing but bread and water, as penance for engaging in marital relations with his wife after his episcopal consecration. St. Genebald reposed circa 555. HERCULANUS, a martyr in Porto near Rome, most likely during the reign of Marcus Aurelius, circa 180. OBDULIA, (Date Unknown), a holy virgin whose relics are enshrined at Toledo in Spain, where she is venerated, no further details of her life are extant. 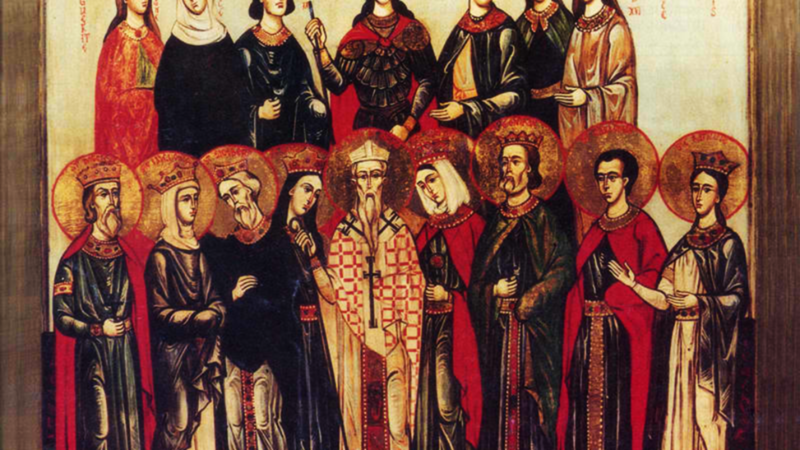 QUINTIUS, ARCONTIUS, and DONATUS, (Date Unknown), martyrs who are venerated in Capua and other places in the south of Italy. However, no details of their lives are extant. VICTORINUS, seventeenth Bishop of Como, he was known for his fervent opposition to Arianism. St. Victorinus reposed in 644.